Worried about blowing a buckle the next time you binge at your local buffet? Best Made's belts are made from the same material as the harnesses that allow smokejumpers to safelty parachute into a raging inferno. 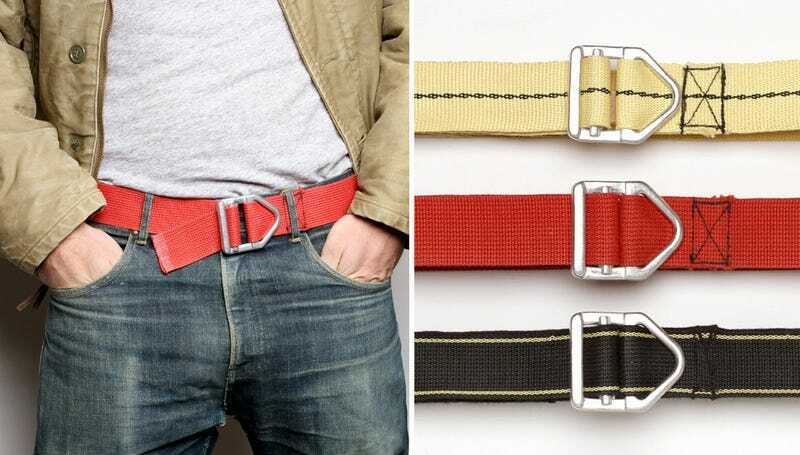 So with 10,000 pounds of tensile strength, an 800°F melting point, and buckles load tested to 2500 pounds, I'm fairly certain these belts will keep your pants up even under the harshest of conditions. For added measure the kevlar material used is resistant to abrasions, cuts, chemicals, and even damage from sunlight.